Next week, is CES, or what used to be known as the Consumer Electronics Show. But now, it’s just CES. Why? Who knows, but it’s still the cavalcade of electronics manufacturers showing off what the future holds. But is there anything that filmmakers have to be excited about? Well, this year won’t rise to the level of NAB? 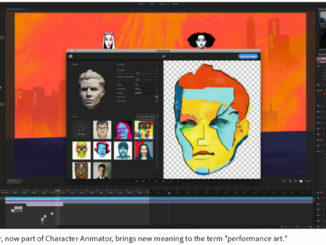 Honestly, from what I’ve read in what to expect this year … it’s a lot of ancillary technology that may or may not help filmmakers do their jobs. But let’s take a look. Cameras. I don’t think there’s going to be a lot in the realm of camera news, but there is talk that Sony may be launching an 8K Alpha model this year. Maybe an A7IV? But really, will it be an 8K capable mirrorless camera? I’m not so sure. 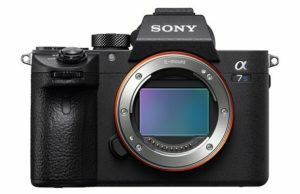 Maybe on the order of specs, but remember that the A7III had a 6K sensor that downscaled to 4K. So we may seem something similar in the next generation. Outside of that, most of the camera companies are either waiting for NAB, IBC or Photokina to launch their next generation cameras. So I rather doubt that a new camera will make any waves in Vegas next week. Mobile Phones. 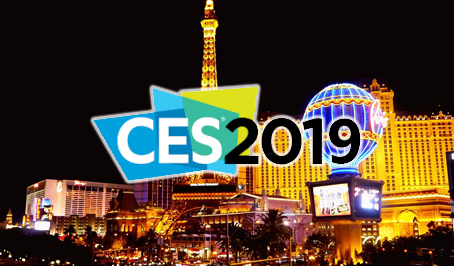 Mobile will have a usual presence this year at CES, but even then, more companies are choosing to launch at their own events (like Apple) or at the Mobile World Congress. So CES will be more about accessories and new technologies. But the buzz word will be 5G. 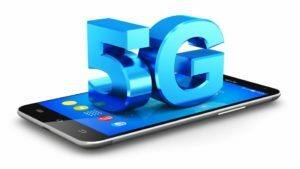 As a matter of fact, if you’re an AT&T customer, you may notice the “5G E “moniker appear on your mobile phone screens this year. 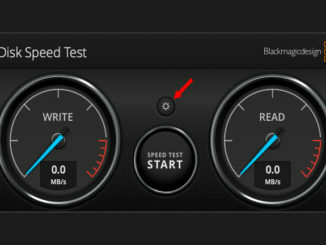 That doesn’t mean that your phone is suddenly blazing at 5G speeds, but that AT&T thinks that their “evolved” Next Gen LTE network is just as fast. But don’t be fooled. It’s all marketing. “I’ve heard they even have plans to show a 5G network indicator for LTE on consumers’ devices to hide the fact that actual 5G will be scarce, duping customers into thinking they’re getting something they’re not,” wrote T-Mobile CTO Neville Ray in a blogpost. But of course, you have to take a competitor’s analysis with a grain of salt. The fact is, though, even an iPhone XS won’t be 5G capable. One thing we will see at CES from smartphones this year is several foldable mobile devices, that will turn your mobile device into a wallet you can stick in your back pocket. But don’t expect to see that in the stores this year. Computers. By the numbers, there’s really not a lot that’s going to make a splash at CES in 2019. Computer processors have only gotten marginally faster and more powerful in the last 5 years. 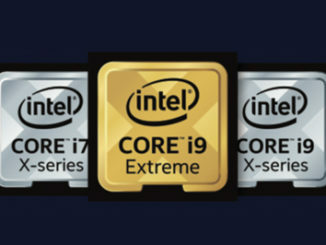 And even the multi-core designs can slow your computer down when using more than one core on a task. But the big feature that Intel is going to be pushing is 5G capability, meaning, users will be able to open their “Always connected” laptop anywhere and get online. But you can bet that Razer will have another crazy computer design that will get a best of award, but won’t see the light of a showroom floor. TVs. From everything I’ve read this week, this is a planned “off year” for TVs in 2019. 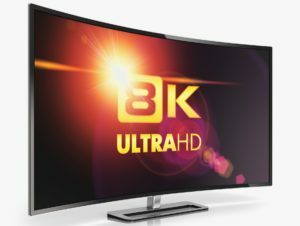 Meaning that 4K is still going to be the state of the art by year’s end. Sure, several companies will showcase 8K prototypes, or models with hefty, five figure price tags, but the reality is, that most of the world is still broadcasting in 1080p, or even as low as 720p. Only in Japan can you see an 8K broadcast signal. And as for blu-ray players … well, the amount of 4K content is only now starting to kick in, so I wouldn’t expect to see an affordable 8K TV in stores for at least two years. And as for streaming in 8K? Forget about it. But the price of 4K will continue to plummet, and that’s a good thing. Virtual Reality. Augmented Reality. It seems that Virtual Reality is going through an adjustment period right now, as adoption of the medium hasn’t really taken off as many had hoped. Many VR centers have closed, and when faced with having to upgrade their computers, as well as buying expensive VR gear, Consumers have instead gravitated towards lower end, mobile centric VR devices that rely on your mobile phone to power it. Even Oculus has made the shift, with their new lower priced Oculus Go. 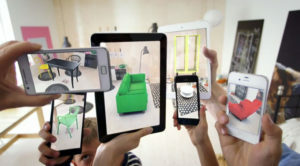 But the real trend in 2019 is going to be Augmented Reality, as overlaying virtual information onto an image from the real world carries more allure in the short term. Developers are updating mobile apps with augmented reality functions, and manufacturers are offering ARKit SDKs. That leads many to believe that AR will be the hit at CES this year, while VR will largely sit this one out. Drones? 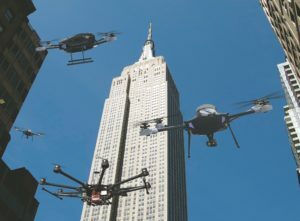 Well, as I stated in our 2018 wrap-up, with the drone wars largely over, and DJI crowned the King, you really won’t see a lot. And even then, government regulations are making it more difficult for drone owners to fly them anywhere useful, without a certification that allows passage. Even at its apex, only 8% of drones were devoted to filmmaking purposes. That means we’ll see commercial and civic adoption increase, but everyone else will likely just move on. I would be wrong, but with a lack of competition, and onerous government attitudes, I just don’t see drones having the impact we all hoped. Of course, we’ll also see greater smart home adoption, smart cars, and all kinds of accessories. That’s what I see coming for CES this year. But we’ll be roaming the virtual halls to make sure we don’t miss anything. So stay tuned.